Activists and affordable housing residents gather outside City Hall on Saturday to speak against proposed cuts to the Department of Housing and Urban Development. Dozens of activists and affordable housing residents gathered on the steps of City Hall on Saturday to speak against proposed cuts to the Department of Housing and Urban Development, or HUD. The agency helps fund affordable housing and neighborhood improvements, and provides rental assistance to low-income Americans. President Trump’s proposed budget includes more than $6 billion in cuts to HUD. 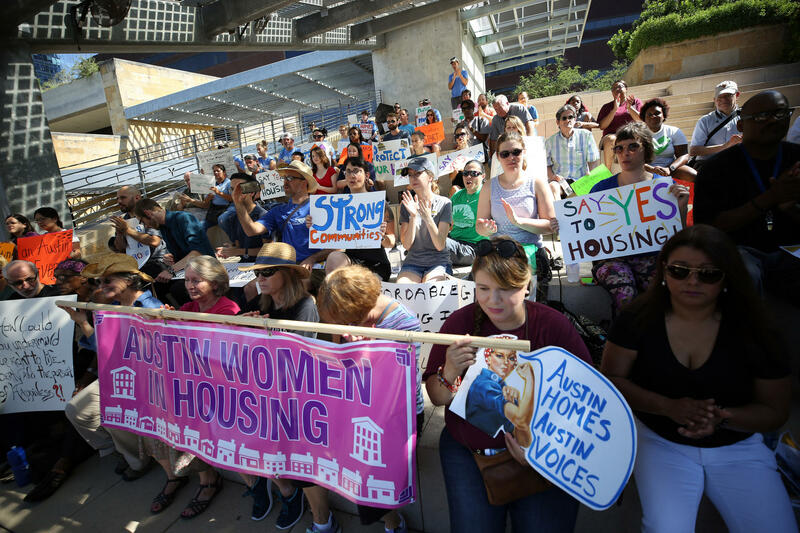 Local housing advocates estimate the cuts would cost Austin more than $18 million a year in federal funding. Hewett lives at Capital Studios, an affordable apartment complex downtown. Like many people, he said he never saw himself in need of housing assistance, but a few years ago, he began to lose his hearing and had to leave his job as an engineer. He struggled to find work and eventually ran through his savings. Hewitt secured an apartment with the help of a special housing voucher for veterans. He said having his own home has helped him feel like himself again. Hewitt said he’s not much of a talker, but he felt the need to speak out on this issue. “With these budget cuts and everything, it furthers my fervor into getting involved,” he said. 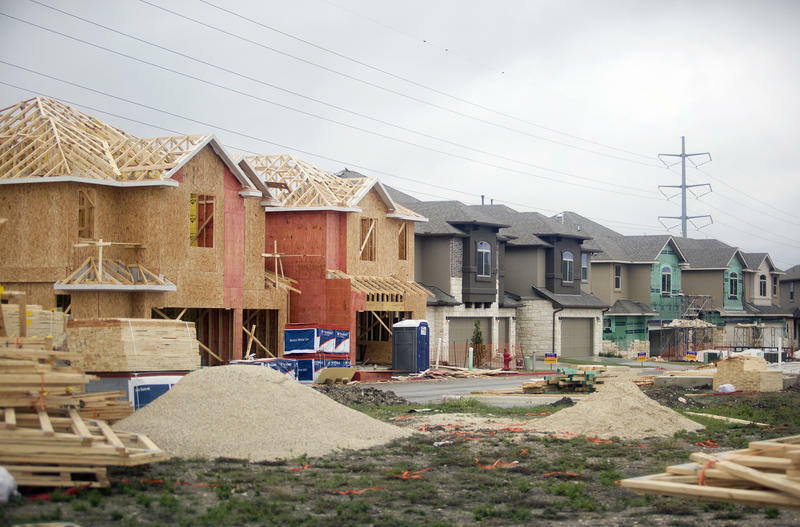 Several local nonprofits – including Foundations Communities, which built Hewitt’s complex – said they can’t afford to build new affordable housing if HUD slashes funding. 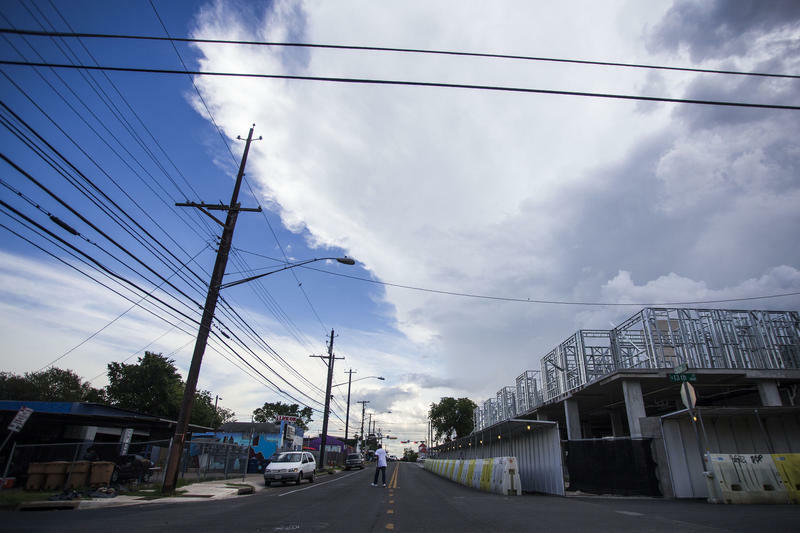 The Trump administration’s proposed budget would also eliminate the community development block grant program, which helps pay for neighborhood improvements. Robin Wilkins of the Austin Tenants' Council, City Council Member Jimmy Flannigan, veteran Robert Hewett and Austin Habitat for Humanity volunteers raise a symbolic wall outside City Hall on Saturday. City Council Member Jimmy Flannigan, who represents District 6 in Northwest Austin, is one of several local officials who spoke in opposition to the cuts. “It seems like every day I meet a constituent who lived in Central Austin, moved to District 6, and is now moving to Cedar Park because of affordability reasons,” he said. Congress will debate Trump’s proposed budget this fall. Should lawmakers approve the cuts to HUD, Flannigan said, elected officials will have to get creative at the local level. He said he sees opportunities to address affordability in the ongoing rewrite of Austin’s land development code, CodeNEXT. What Can Austin Actually Do To Increase Affordable Housing? 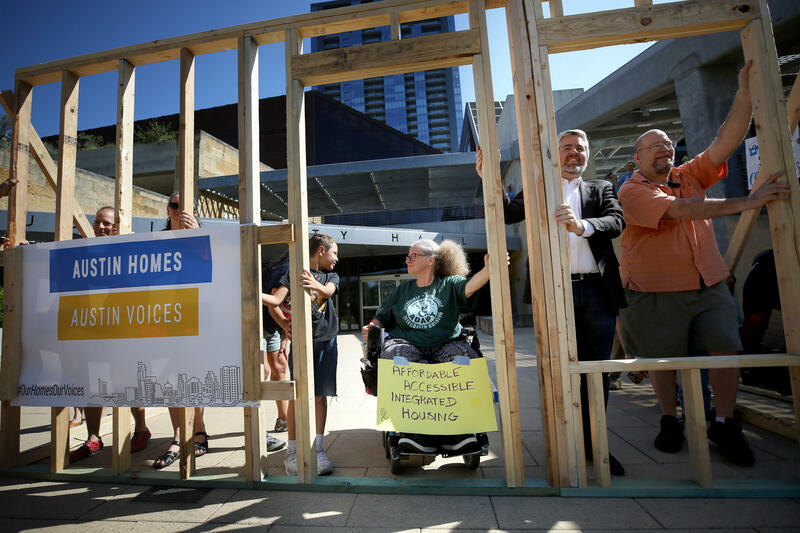 For years, talk of affordable housing has dominated discussions at Austin City Hall. As the cost of living continues to climb, Mayor Steve Adler has expressed concern that the city is on its way to sky-high real estate prices like those in San Francisco. But how much power does the city actually have to influence the housing market? 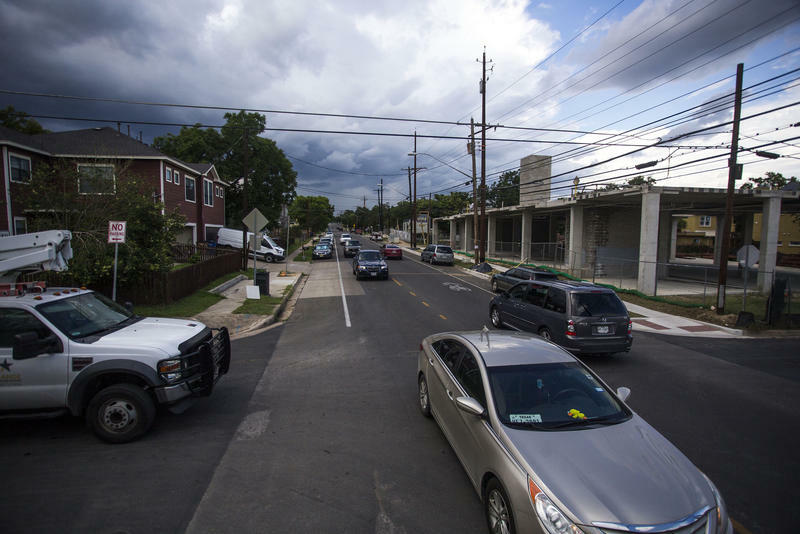 Austin City Council is set to consider a program that would bring more affordable housing units to the East Side. It’s called a community land trust, and it could create homes that remain affordable for decades to come.